As we all know, most kids have a short attention span, especially if they are bored and don’t necessarily retain all the information they are given. So how do we get kids ages 3-18 to focus and make an impact on them to where they actually remember these important life lessons weeks later? 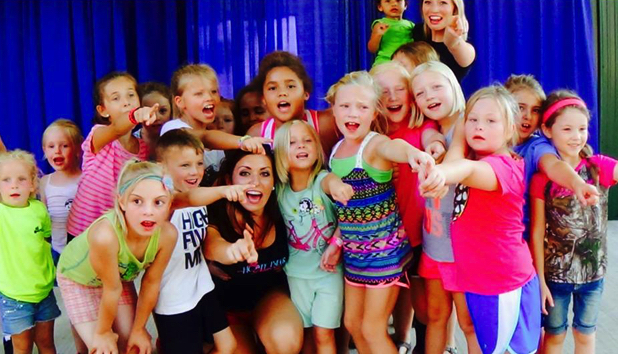 Making this educational experience fun & interactive creates an impact on the kids where they not only learn popular dance moves but important life lessons that they will take back home with them spreading their exciting new knowledge to their friends, neighbors, siblings and family for years to come. We begin our 30-45 minute kids dance workshop with a brief overview of our company, introduction of our dancers and then words of encouragement to pump the kids up. 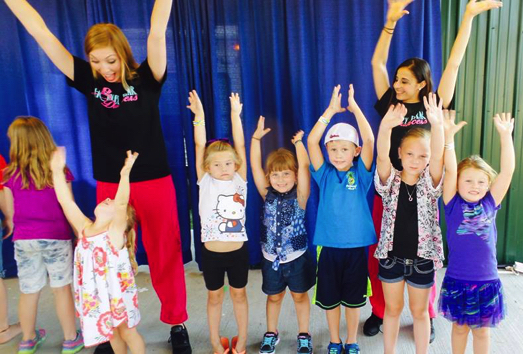 The kids favorite high-energy music plays and together we stretch and warm up our muscles. Next, before we begin to learn the dance, one of our “DANCE Spectacular Production” dancers briefly talks with the kids about one of our life lessons. She asks the kids questions such as “Who knows what a bully is?” or “Who here has a cell phone?”, referencing cyberbullying. After the q & a, our dancer completes her short lesson leaving an impression on the kids. “Who’s ready to dance?”, she asks. Kids scream, “Me, me, me!” We start back up continuing on with the next set of dance moves. For the next 20 minutes we rotate between teaching dance moves & life lessons. We’re nearing the end of our workshop but first the kids need to come up with a team name before we perform for all the parents and audience members. The kids huddle together in excitement whispering and raising their hands with ideas. As a team, the kids create their group name. Before the kids perform, they surprise their parents by asking THEM to shout out the lessons they have learned today. Mom and Dad scream back to the stage, “Be a BUDDY not a bully”, “School is Cool”, “Teamwork”, & “Practice Makes Perfect.” The kids all giggle because they know next, we are going to also ask Mom and Dad to stand up in their seats and perform the dance. After all the laughs and loud applause given to the parents for their debut performance, the kids take the stage!